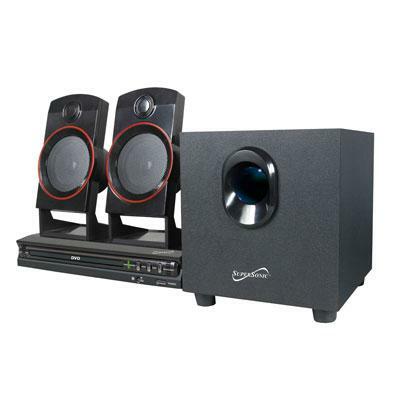 2.1 Channel Surround Sound System Supports DVD/CD/ VCD/ SVCD/ MP3/ Picture CD/CD-R/ CD-RW Video Output: CVBS S-Video YPbPr Speaker Output: 5W + 3W x 2W = 11W NTSC/PAL System Compatibility Supports 32 Languages Subtitles Multi-Angle Viewing with Digital Zoom Support Intelligent Firmware Upgrading Multi-Level Fast Forward and Backward Scan Programmed and Memory Playback Compatible with All Disc Zone (Multi-Zone) Power Output: 15W USB 5V DC Power Supply Remote Control This item cannot be shipped to APO/FPO addresses. Please accept our apologies. 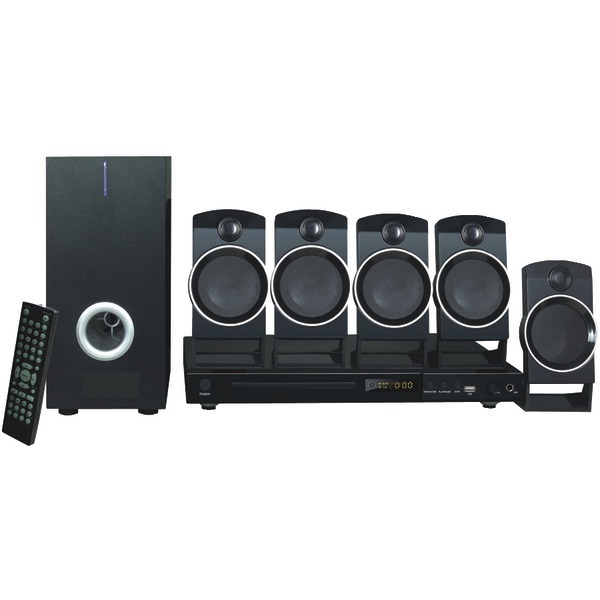 1 CHANNEL HOME THEATER SYSTEM� WITH DVD AND KARAOKE SYSTEM HTNA859 Experience surround-sound movie effects at home with a powered subwoofer and five full-range speakers Attractive and slim DVD player with flexible connection options Play digital media from USB memory sticks Enjoy karaoke at home with a microphone connector and level control Connection options include component video, composite video, S-video, coaxial digital audio, and RCA 5. 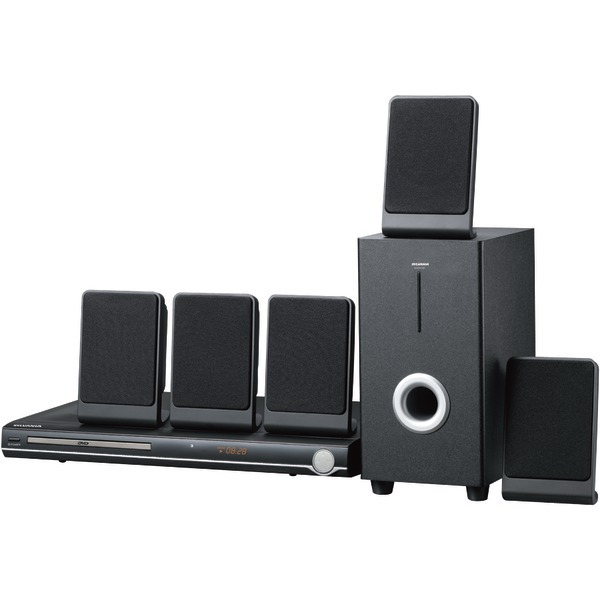 1 CHANNEL HOME THEATER SYSTEM� WITH DVD PLAYER� HTCG755 DVD PLAYER ��������� Fully decoded 5. 1 channel audio output ��������� Front loading DVD Player ��������� DVD/DVD-R/DVD-RW/JPEG/CD-R/CD-RW/CD compatible ��������� LED display ��������� Progressive scan ��������� Audio/video output jack ��������� Component/progressive video output jacks ��������� Coaxial digital audio output ��������� Single remote control controls both DVD and amplifier ��������� DVD player size : 260mm ��������� AC operation � POWER AMPLIFIER � ��������� Sub-woofer with 5 satellite speakers ��������� Rotary volume control ��������� 5. 1 audio input jack and 2. 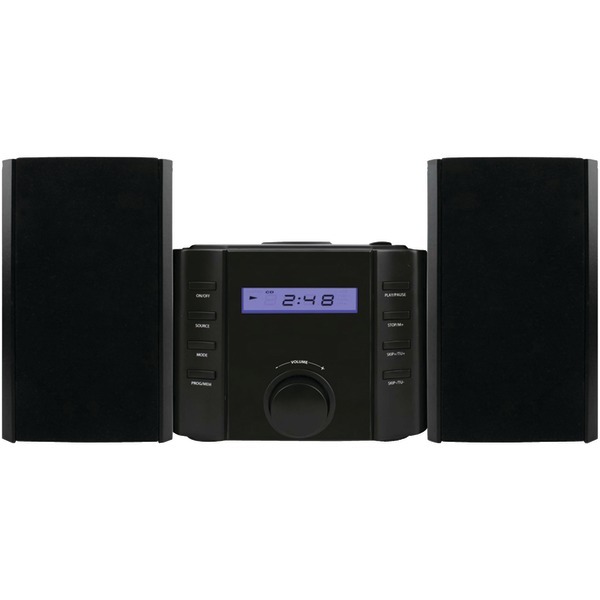 1 RCA jack ��������� Volume adjust by remote control ��������� AC operation (AC adapter included) � ACCESSORIES INLCUDED ��������� Remote control (Uses 2 x “AAA” batteries, included) ��������� AV Cable ��������� AC/DC adapter for amplifier. 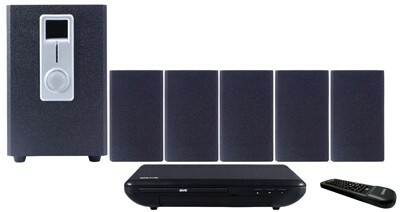 HT12B CHANNEL HOME THEATER SUSTEM WITH SUBWOOFER Features 2. 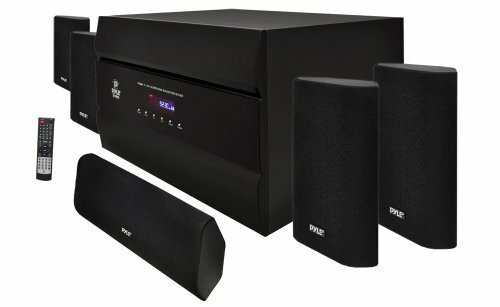 1 channel stereo sound 3 surround sound speakers: left, right, and subwoofer Built-in amplifier RCA stereo audio inputs On/Off switch Bass controls Analog volume control Wooden speaker enclosure AC power: built-in AC power cable Includes: 3. 5mm to RCA audio cable. - Listen to CDs, AM/FM radio, or connect a smartphone and more to the Aux in. 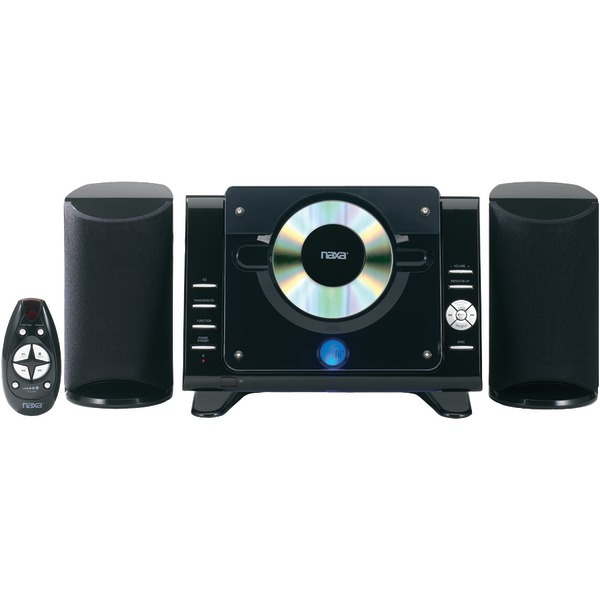 A microsystem for your desk or wall with Bluetooth that can play your favorite CDs. Plays CD and CD-R/RW discsStream music wirelessly from smartphones tablets laptops and other Bluetooth enabled devices. AM/FM radio with digital preset tuning. 3.5mm AUX audio input for smartphones iPods and other audio devices. 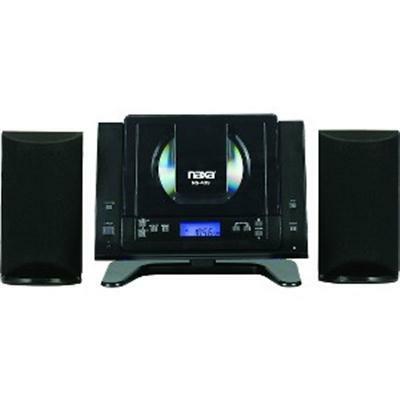 Additional features: Audio equalizer LCD display with backlighting wall mount or tabletop installation. This item cannot be shipped to APO/FPO addresses. Please accept our apologies.